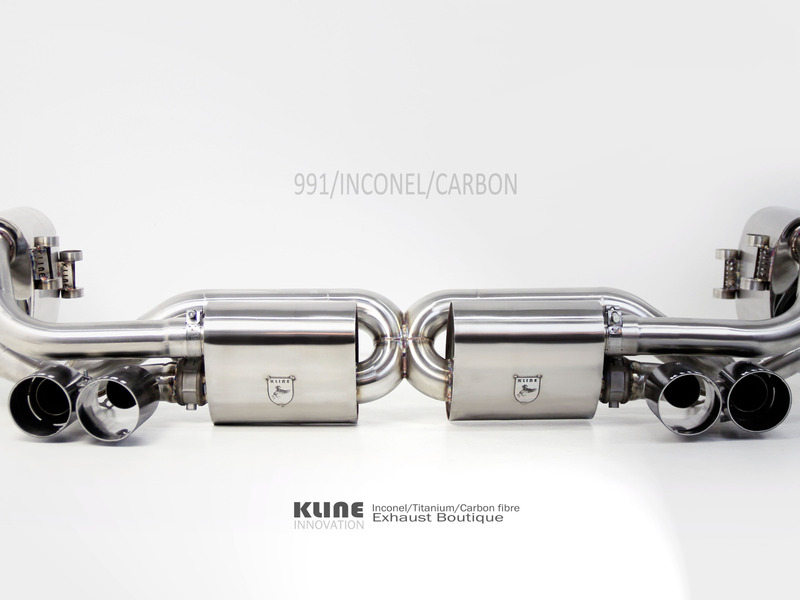 Kline Innovation has justÂ released a new video of their new valvetronic Inconel exhaust for the 991 Porsche 911. 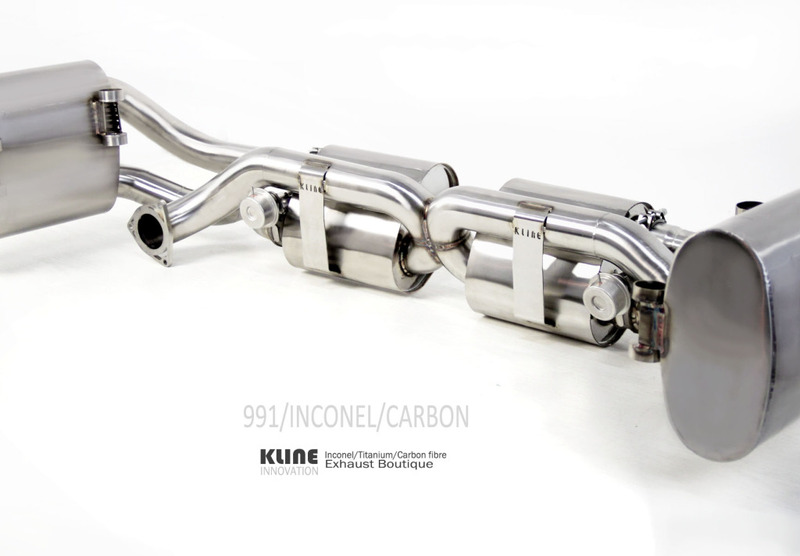 Kline is one of the premier exhaust makers that specialize in using Inconel 625 material. This is the same material used in F1 exhausts, Jet Turbines and the factory exhausts of the newest hyper cars including the McLaren P1 and Aston Martin One-77. 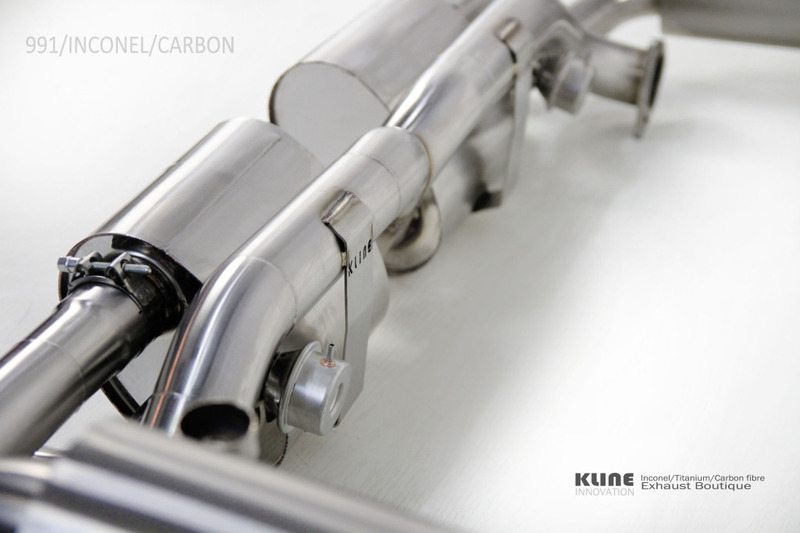 Designed to incorporate our perfect x pipe geometry, that is designed to give a particular tone, a tone which has become synonymous with all kline systems as they all share the same relative geometry. 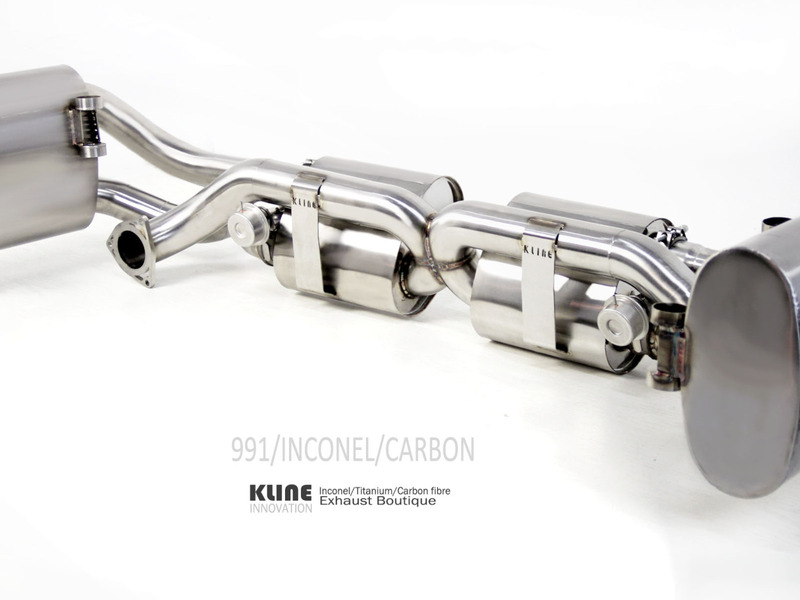 This geometry within the x pipe is the result of a lot of R&D work specifically around tonal quality of exhaust notes (and I know it just looks like a simple x pipe) but minor changes in its geometry vastly effect exactly how the gas resonates at varying rev regions and gas throughput, and therefore have a pretty big impact on the sound. 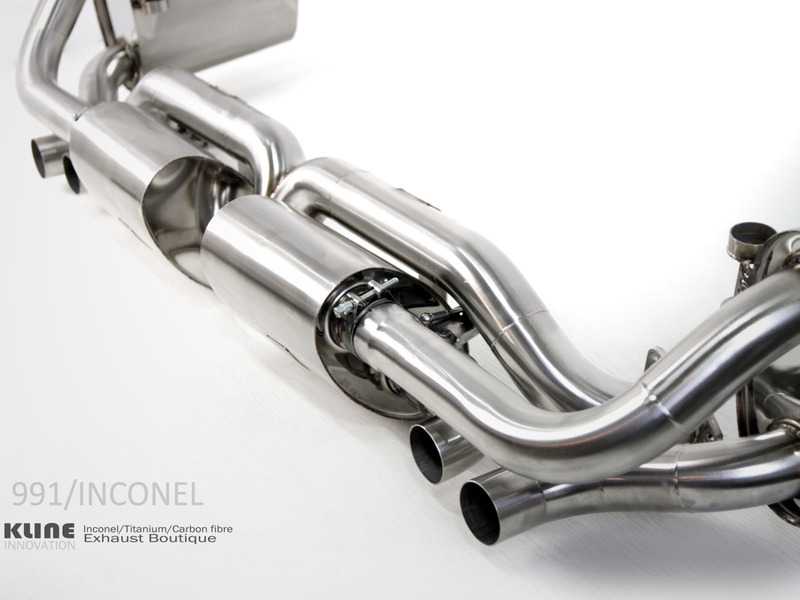 We engineer a complete system for the 991, where under valve open the system becomes completely free flow, the exhaust discharge only flows through our trademark x pipe, and a very short resonator section of silencer, this is just to take the harsh edge off of the exhaust note, so your left with an aggressive yet smooth sounding exhaust note, just loud enough to turn heads and fill the cabin with a pleasurable sound and driving experience . Under valve closure, the gasses pass through 4 chambers, and 4 resonated sections, and the x pipe bringing the car into just a touch louder and smoother than stock. 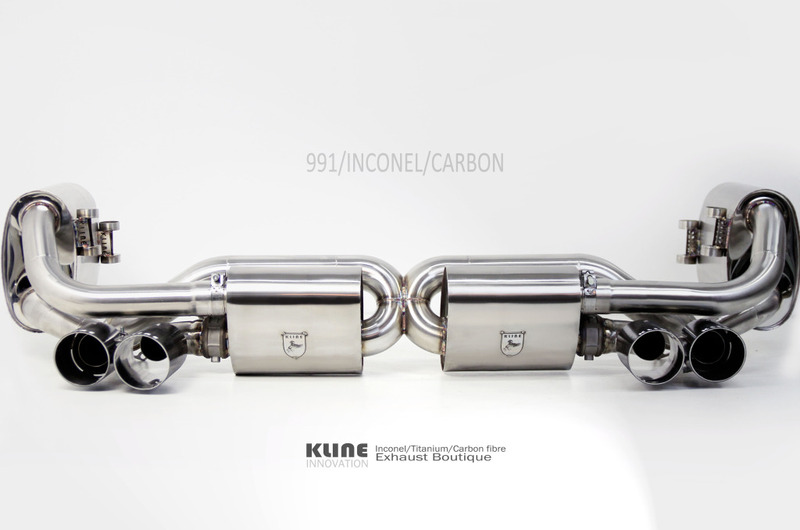 This makes the cruising driving virtually completely silent, although under hard throttle and high revs there is a little touch of exhaust note that you can hear, again because the gasses are still passing through the x pipe you still get that trademark kline tone, just that its much much quieter than valve open. In general we are very very happy and excited with the results of the sound testing. 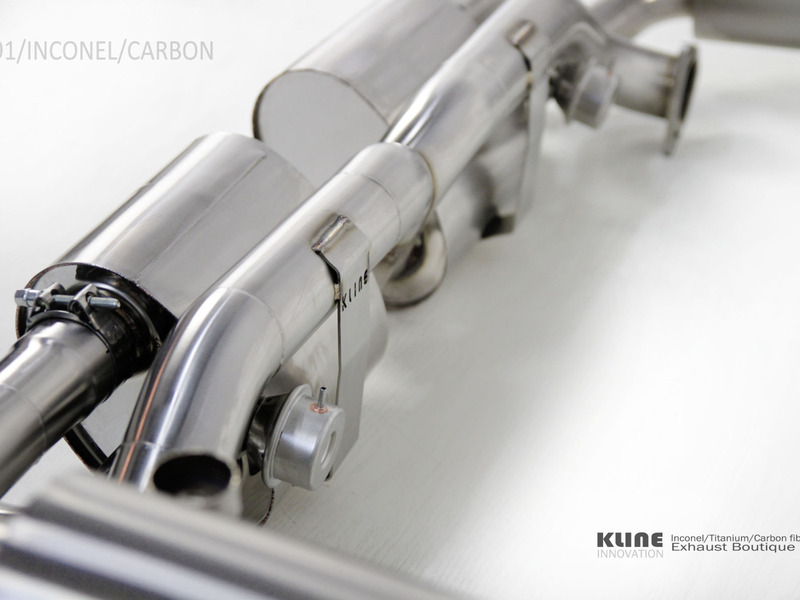 Also because of the Inconel material, the system is very light, despite being a very complex piece of engineering. although from the outside it looks quite simple and elegant, the internals are of a complexity we have never designed or even seen before. 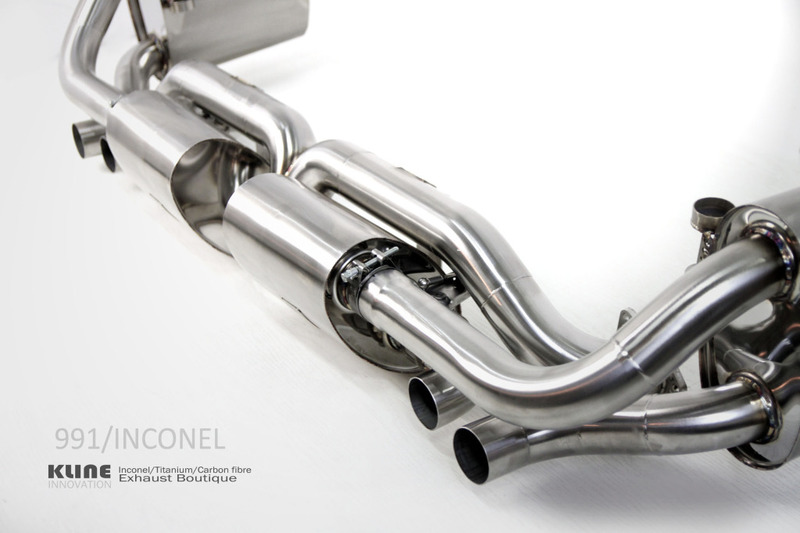 The resonant qualities of the material Inconel produces an extra richness to exhaust note that you simply just donâ€™t get with any other material, really it is just intoxicating in the flesh!